As the oil-rich Ogoni region remains the target of many Western companies, local indigenous groups such as the Movement for the Survival of Ogoni People (MOSOP), a UNPO Member, are determined to organise acts of large-scale civil resistance. Despite warnings and recommendations by the United Nations Environment Programme (UNEP), the Nigerian government has launched on paper, but not yet implemented concrete measures to start the clean-up of this extremely polluted region, claiming that continuing with oil exploitation is the only way to fund the project. 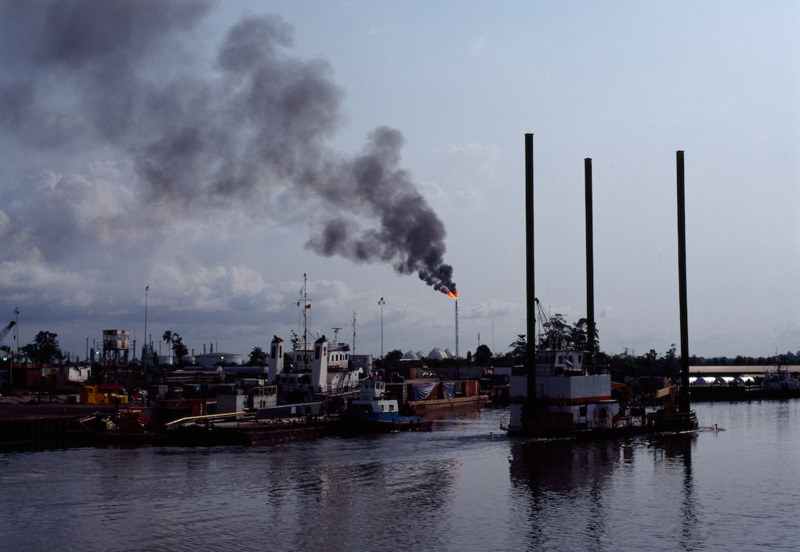 Authorities pretended to compromise by providing exploitation rights to locals but many see it as a way to divide the Ogoni community. The UNPO stands behind MOSOP’s initiatives. The report submitted to the Universal Periodic Review on Nigeria underlined the atrocious conditions in which the Ogoni people live, being victims of water and food poisoning and severe discrimination. There are fears that the Ogoni area of Rivers State might be plunged into unrest over plans to resume crude oil production. Environmental and rights activists in the region have sworn to resist any prospecting company seeking to resume production when recommendations contained in the 2011 United Nations Environment Programme (UNEP) report have not been implemented. It would be recalled that since government gave preliminary approval to an indigenous oil firm, RoboMichael Limited, to develop Ogoni oilfields in OML 11, there has been growing tension in the area. Groups like the Movement for the Survival of the Ogoni People (MOSOP), which challenged the Ogoni resistance against Shell and its joint venture partners, have kicked against the move. A prominent Ogoni leader in Port Harcourt told The Guardian in confidence that barring unforeseen circumstances, crude oil production will commence in Tai Local Government Area of Rivers State. Thereafter, production would resume in Gokana and Eleme. But an Ogoni activist, who pleaded anonymity, explained that if government forces its way into Ogoni, it should be prepared for a new wave of militancy in the Niger Delta, with severe consequences for the economy. Former MOSOP President, Ledum Mitee, warned that attempt to foist oil companies on Ogoni without due consultation will create conflict and divide communities. Mitee, who lamented the non-implementation of the Ogoni clean up, said he reliably learnt that government wants to resume production to generate money to fund the project. He described this as the height of insensitivity. “We are talking about the clean up of Ogoni. Nothing has happened. And in fact, what I am hearing is that the position of government is they cannot get money to clean Ogoni unless we allow oil to flow. Such blackmail will not work,” he said. A policy analyst and development strategist from Ogoni, Robinson Sibe, said promises of job creation and economic growth when production commences are highly contestable. “While it might be lawful and economically expedient for the Nigerian government to want to resume oil exploration in Ogoni, “it is not expedient at this point, because the UNEP report on Ogoniland documents the scary levels of pollution,” he said.